This week's tasting brings us back to La Belle Epoque, the golden age of French fashion, culture, and art. Since I don't have a tea Tardis to transport us to late 19th century France, I'm relying on a blend of tea by Lupicia to take us there in spirit. 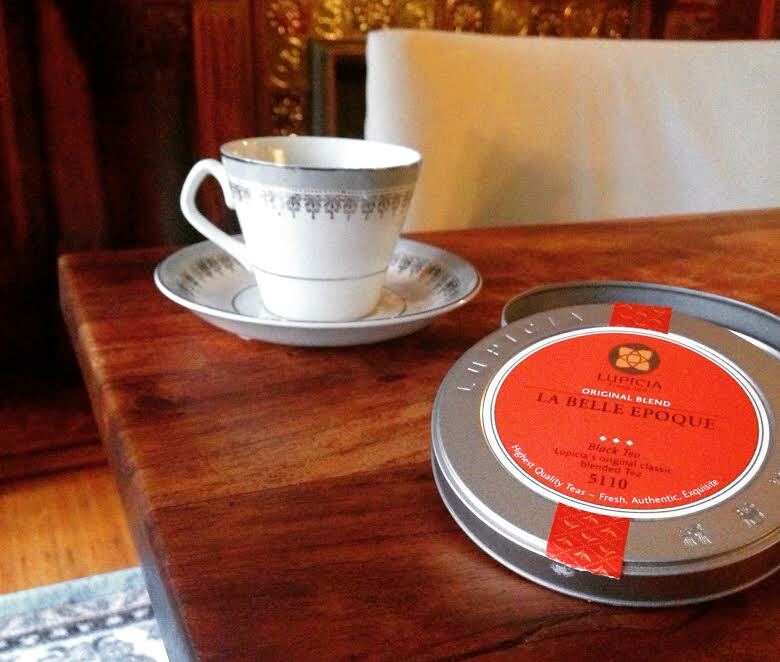 The company recently sent me an attractive tin of black tea called, of course, La Belle Epoque. Since I could use a bit of positive imagery during this crazy time in our history I decided to try it out. Perhaps drinking this tea will conjure up feelings of optimism and peace, a departure from the world we live in these days. 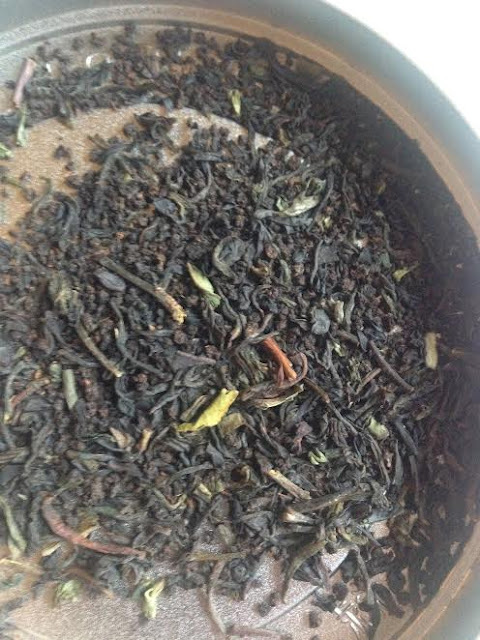 Lupicia's site says this is a blend of 'full-bodied black tea' and Darjeeling (probably a 2nd or autumnal flush). I'm guessing there is Assam and possibly Kenyan tea in the blend. It also says 'It has a trace of nostalgic aroma', which makes sense given the blend name, but I'm not sure what a nostalgic aroma smells like. Nostalgia is personal and unique. I admit this blend does have a bit of nostalgia for me, since 2nd flush Darjeeling teas are the first teas I discovered when I finally ventured past the yellow label teabags. 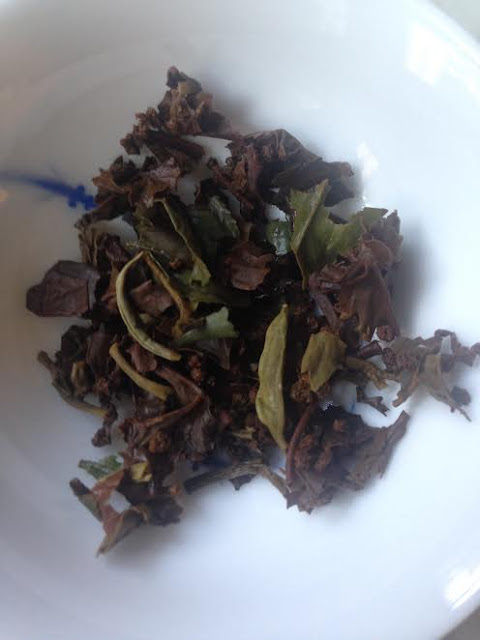 The dry leaves smelled earthy and also had that Darjeeling sweet muscatel aroma. Looking at the dry leaves there are small bits of dark leaves and larger greener leaves, which I'm guessing is the Darjeeling. I also noticed quite a few twigs and stems, which hints at a lower quality tea. The instructions call for boiling water, but I'm wondering if making it a touch lower would help. The tea steeped up super dark, and very strong. I probably added too much tea but even when I was more precise the second time, it was quite strong. This tea is definitely prone to being a bit astringent, so pay attention to your preparation. The strength of the brew makes it a good morning tea. Robust yet smooth. Woodsy, with a tiny bit of spice. Perhaps Toulouse-Lautrec would have enjoyed a cup of this while painting his chic French posters. I can't say that one sip made me feel a sense of Joie de vivre, but it is lively and bold and gave me a few minutes of peace before stepping back into reality. 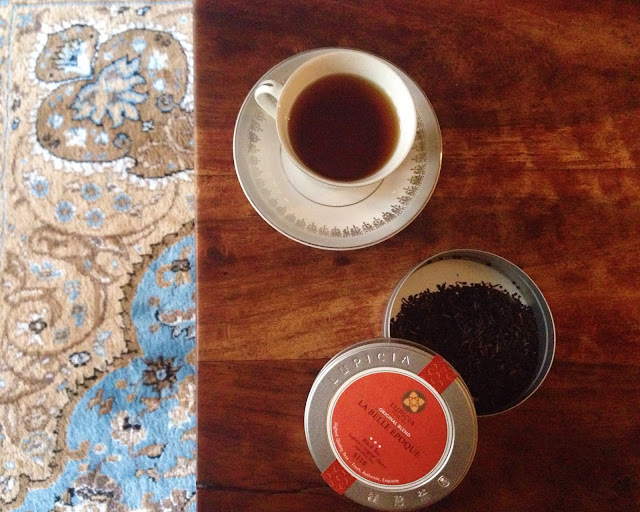 This tea is a good choice for strong breakfast blend drinkers, and those that enjoy 2nd flush Darjeelings. I wouldn't mind having it around to get me through the day after one of my frequent insomnia battles. Thank you to Lupicia for the tea!